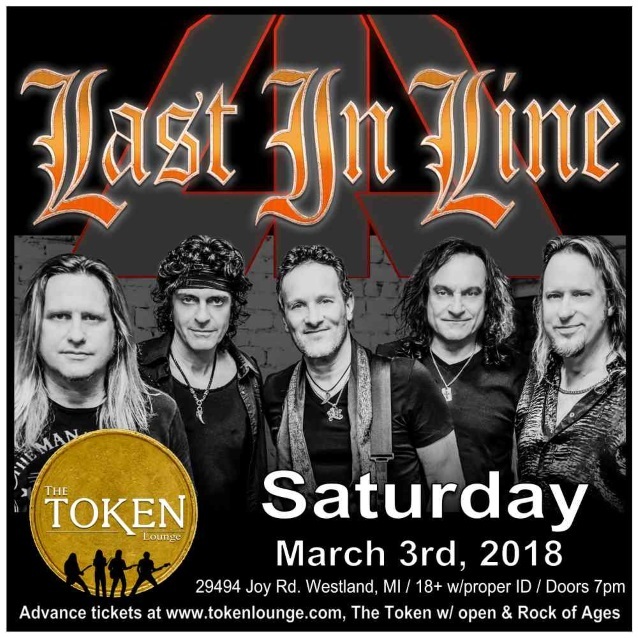 Quality video footage of LAST IN LINE performing the DIO classic “Holy Diver” on March 3 at the Token Lounge in Westland, Michigan can be seen below (clip edited and produced by George S Pogacich). LAST IN LINE recently put the finishing touches on the follow-up to its acclaimed 2016 debut album, “Heavy Crown”. Drummer Vinny Appice, guitarist Vivian Campbell and bassist Jimmy Bain were part of the original DIO lineup which reunited in 2012 alongside singer Andrew Freeman to launch LAST IN LINE. When LAST IN LINE formed, the intent was to celebrate Ronnie James Dio‘s early work by reuniting the members of the original DIO lineup. After playing shows that featured a setlist composed exclusively of material from the first three DIO albums, the band decided to move forward and create new music in a similar vein. Bassist Phil Soussan joined LAST IN LINE two years ago as the replacement for Bain, who passed away in January 2016 at the age of 68. He was reportedly suffering from lung cancer at the time of his death.